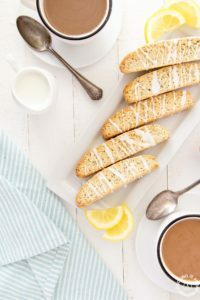 Grab a cup of coffee, a latte or some espresso (or even tea) to enjoy this Lemon Poppy Seed Biscotti to dunk this crispy and lemony treat in. 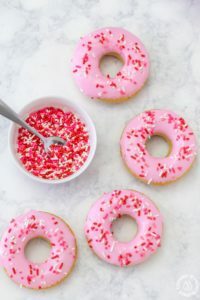 Enjoy them for breakfast, snack time or any time you have a craving for a tasty treat! 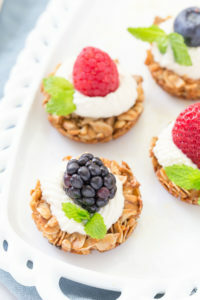 These bite sized Fruit Yogurt Granola Bites would be a great addition to your Mother’s Day brunch table. 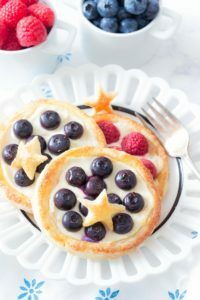 Use your favorite yogurt on top of the crunchy oatmeal and honey tart shell then add fresh fruit berries to finish it off! 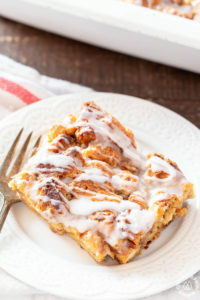 These Lime Coconut Skillet Rolls are a perfect way to celebrate spring. 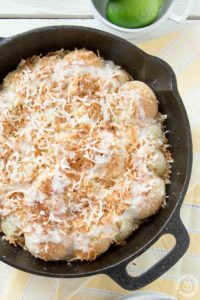 The light and fluffy rolls are topped with lime zest, sweet coconut and drizzled with a lime glaze. 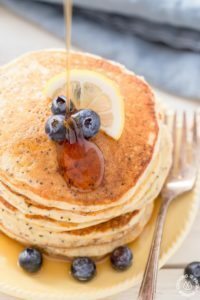 These fluffy and tangy Lemon Ricotta Pancakes are a great way to start the day. Stake them up, drizzle with some syrup and delight your taste buds! 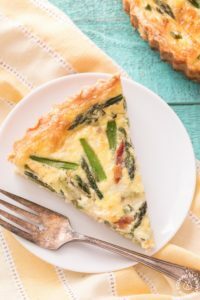 Be sure to get that first taste of spring with this Asparagus Leek Quiche. 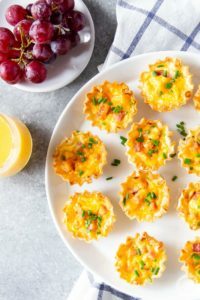 It’s easy to throw together with simple flavors that is perfect for brunch entertaining. It’s sure to become a family classic recipe. 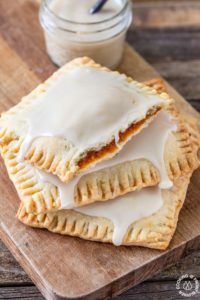 Start the day with these Breakfast Fruit Pastries with flaky puffed pastry, creamy lemon filling and topped with your favorite fruits. They can be on the table in no time and then watch them disappear!